Optional. If specified, the request must be made using an x-ms-version of 2011-08-18 or newer. If not specified, the default value is 0. Specifies the new visibility timeout value, in seconds, relative to server time. The new value must be larger than or equal to 0, and cannot be larger than 7 days. 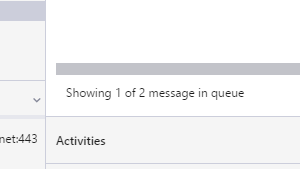 The visibility timeout of a message cannot be set to a value later than the expiry time. visibilitytimeout should be set to a value smaller than the time-to-live value.